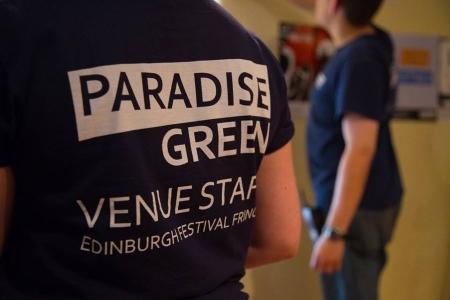 Paradise Green is a not-for-profit organisation, and our team is made up of volunteers brought together by their love of performance and their desire to experience the Fringe. By working together to support both our companies and their audiences, we aim to make our venues the most welcoming at the Fringe. We are committed to programming a diverse and exciting mix of performing arts, reflecting the best that the Fringe can offer. 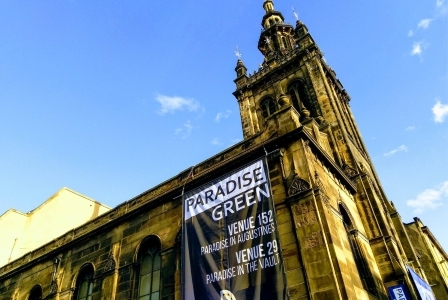 Previous productions in our venues have won Fringe First, Total Theatre and Spirit of the Fringe awards and have received nominations for many others. We’re here to make your experience of the Edinburgh Festival Fringe enjoyable and productive, whatever your aspirations are for your show! Our offer is a simple, inclusive deal, with a straight hire fee paid for your use of the venue and we don't take a box office share. 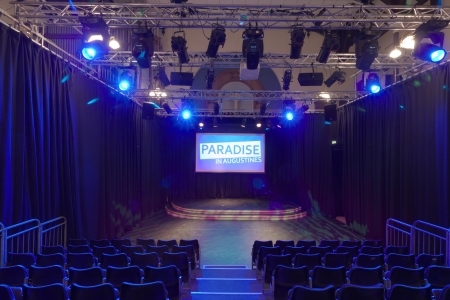 We’ll provide you with a well-equipped and well-staffed theatre, so you can concentrate on the important part of bringing a show to the Fringe — the performance. You need to obtain the rights for the specific piece you are performing and any music you use (if applicable). You also need to register your production with the Edinburgh Festival Fringe Office. Where there are extra charges, these are always for something over and above the standard deal, and most of our groups pay no more than the standard charges listed. Any extra costs will be clearly identified and discussed with you beforehand. We have five performance spaces located within the heart of Edinburgh's Old Town, close to the Royal Mile.